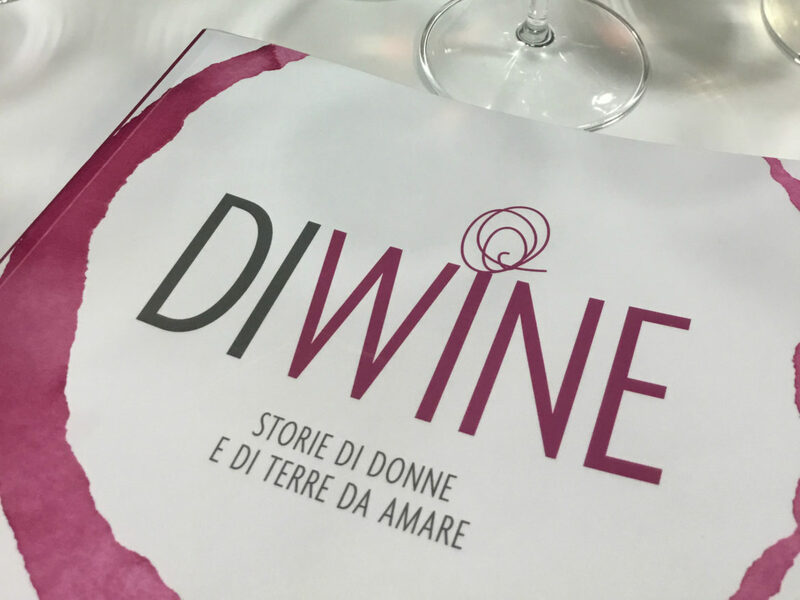 The association “Donne del Vino” (“Women of Wine”) along with La Repubblica presented the beautiful book “Storie di Donne e di Terre da amare”, stories of women and lands that you will love, at the Vinitaly show. Donne del Vino presents wines made from vines up to eighty years of age. 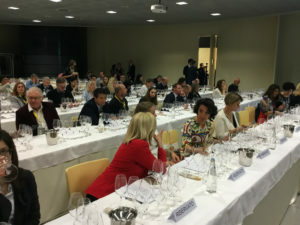 The session was held by wine guru Ian D’Agata and Cinelli Colombini. 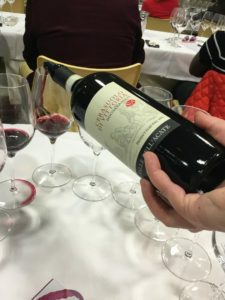 Followed by Gilda Martusciello, Campania, with her Ottouve Gragnano della penisola Sorrentina DOC 2017. 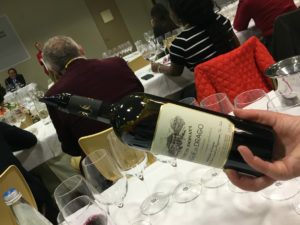 The third wine we tasted, presented by Elisabetta Donati, was a Teroldego Rotaliano DOC Sangue di Drago 2015, Mezzacorona, Trentino Alto Adige, Azienda Agricola Marco Donati. 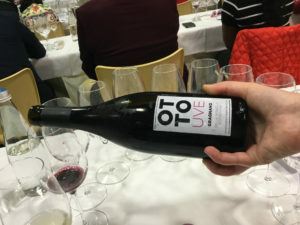 Then Eliana Maffone, Pieve di Teco, Liguria, with her Ormeasco di Pornassio Superiore DOC 2015. 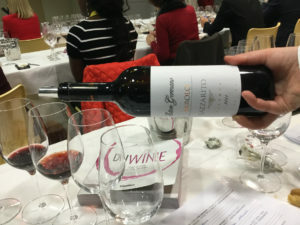 Gaetana Jacono, Valle dell’Acate, Sicilia, Cerasuolo di Vittoria DOCG Classico 2014. 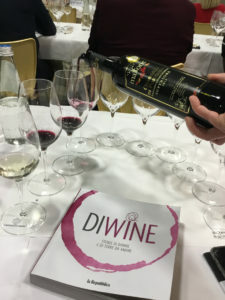 Silvana Raniolo, Vittoria, Sicilia, with Etna Rosso DOC 2014. 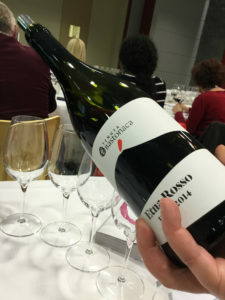 Elena Bonelli, Serralunga d’Alba, Piemonte, Ettore Germano, Barolo DOCG Lazzarito Riserva 2011. And, to cap it all… Josè Rallo, Marsala, Sicilia. 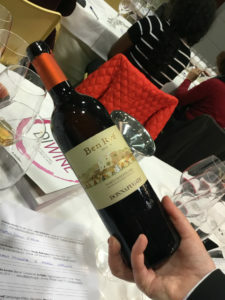 Donnafugata Ben Ryè Passito di Pantelleria DOC 2015. 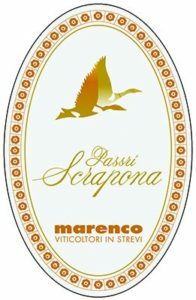 The very last tasting was with Michela Marenco, Strevi, Piemonte, Passrì di Scrapona Strevi DOC Moscato Passito 2013. 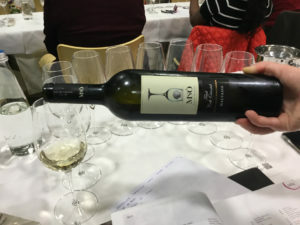 This awesome tasting session made me think about the importance of vineyards and vineyard age … all those wines came from vines which were at least 40 years old, the longest was even 80. I realised the cultural significance of nature that is offered to men … and women. These producers, when presenting their wines and lands, conveyed the importance of a feminine approach to winemaking and showed how it adds value to the business. 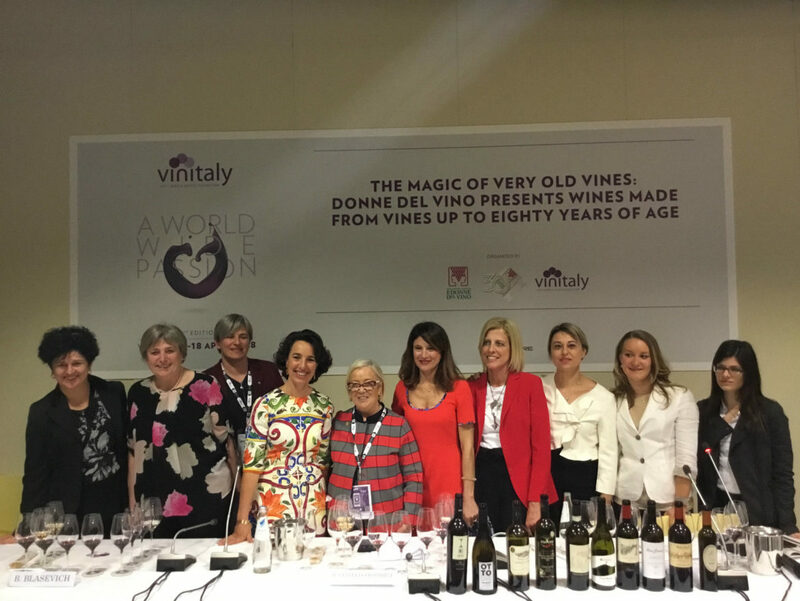 Discovering that women should play a leading role in the wine world is not a mere passing trend but a truth that has now conquered the Italian countryside and invaded the international scenario! God save the wine, and especially the Donne del Vino!